Deciding whether to take out a home reversion plan can be a hard decision so it is worthwhile looking at a case study of a couple that have been through the experience. Mary and Howard were 65 and both retired. They had lived in their property for 20 years and it was worth around £185,000.They had two sons and one daughter. Two of their children had young families while the other was in the process of arranging her wedding. Mary and Howard wanted to offer them some financial help but they only had enough money to cover their own living expenses. They looked into equity release as an option. Mary and Howard thought their children might benefit from their inheritance at this point in their lives, as oppose to when they die. They also thought it would be nice to be able to watch their children spend their inheritance on their grandchildren and their forthcoming wedding. They visited their local financial advisor who explained about equity release and home reversion plans work. When you take out a home reversion plan you can sell either part or all of your property to a reversion plan company and they exchange it for a tax-free lump sum. They will then let you stay in the property until you die without having to pay any rent. There is an option to be able to offer inheritance but only if you do not take out the whole 100% of your property’s value. 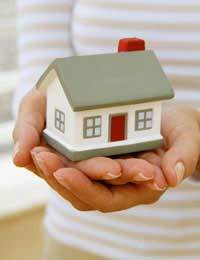 "We discussed the pros and cons of taking out a home reversion plan. We decided we didn’t want to leave any inheritance so that was not a problem," says Mary. Their one concern was that they would not get the full value of the property by taking out a home reversion plan. After discussing it though they felt the benefit of being able to stay in their property and giving their children the money now outweighed the disadvantages. "We decided to speak to friends as well as family about our decision. We had read a lot of bad press about equity release and home reversion plans and we wanted to make sure we were making the right decision and not losing a lot of our money," says Howard. Howard says: "We were worried how our family would view what we were doing, but we found once we explained it they were very supportive." They gave their children the advantage of having the money now or having it when they die, they agreed the money would be put to the best use if they used it now. They all went to visit the financial advisor together and agreed to the terms of the home reversion plan. Mary and Howard’s children used the money from the home reversion plan to go towards paying for their children and wedding. Their children were able to enjoy spending the money with their parents and their parents also used some of the money to have a comfortable living and the occasional holiday. Mary says: "It was nice to be able to watch our children spend our money, they did not end up with as much as they would have done had we died and then sold the house, but we felt it was better to watch them enjoy it while we were alive." Mary and Howard went about taking out a home reversion plan the correct way. They looked at all the options and most importantly discussed it with their family and friends to make sure nobody objected to what they were doing. Home reversion plans can offer a solution for people in their old age but all the options must be considered and it is important to seek professional advice before choosing a home reversion plan.